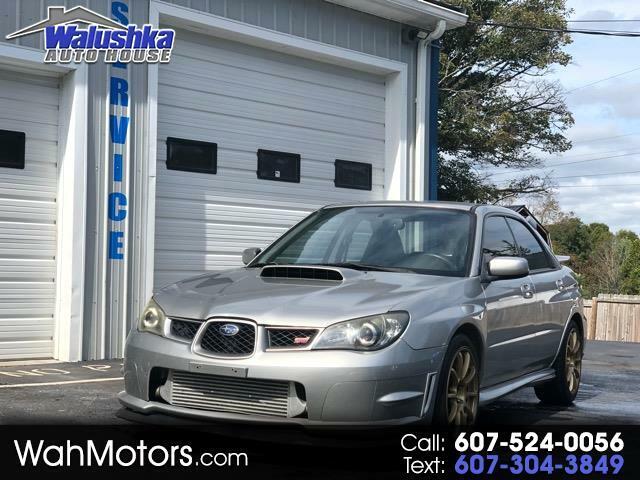 Visit Walushka Auto House online at walushkaautohouse.net to see more pictures of this vehicle or call us at 607-524-0056 today to schedule your test drive. Message: Thought you might be interested in this 2006 Subaru Impreza Sedan WRX. All vehicles are subject to prior sale. Walushka Auto House LLC. 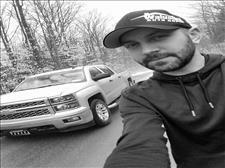 is not responsible for any errors or omissions including, but not limited to, photos not of the actual vehicle (representational, stock images...), options and equipment, actual miles on odometer, pricing and more. Please understand that data entry errors can occur unintentionally. Internet pricing requires manager validation. Please contact us to confirm pricing, availability, and exact vehicle specifications prior to arrival. Walushka Auto House LLC. has a Doc fee of $75.00. Price does not include optional equipment, state and local taxes, tags, registration and title fees. Prices are subject to change without notice. Unless otherwise noted, vehicles are sold "As Is" with no warranty. By contacting us on a vehicle, whether by calling, texting, email, or use of a webform; you grant us express permission to contact you via voice, text, sms, and automated methods at any number or email you use, to include what is captured via caller id. If you provide a phone number, you are giving express permission to be texted, sms, including video, pictures, and other dynamic content at that number. Data usage and rates may apply. *All payments are with Approved Credit. Guaranteed financing is subject to Cash or trade equaling $500 or more down and no prior repossessions with said bank. Guaranteed credit approval doesn't work with all vehicle's on website income and credit determine price of vehicle. My sales person was so understanding of my position and everyone was great to work with it was an overall awesome expierence. The staff at Walushka Autohouse was fast, easy to work with and above all things just great to work with. The staff at Walushka Autohouse, was very helpful, reliable and the choice of cars is AWESOME! 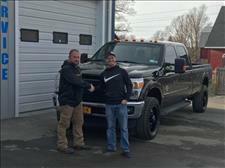 The staff at Walushka Autohouse, was very friendly , very knowledgeable and very nice during the entire process. 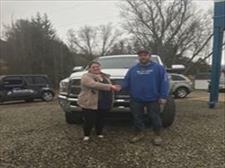 The staff at Walushka Autohouse was efficient during the process accommodating and very thoroughly when going over the buying process with me. 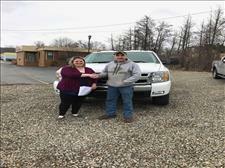 I want to thank Reese Vandelinder at Walushka Auto House for making my first Chevy truck buying experience awesome! And thank you Chris Walushka for your help too Buddy! 5 Star Experience !!!! Check them out!